For the past two years we have worked closely with our community partners to bridge the digital divide through out Los Angeles and the surrounding area. 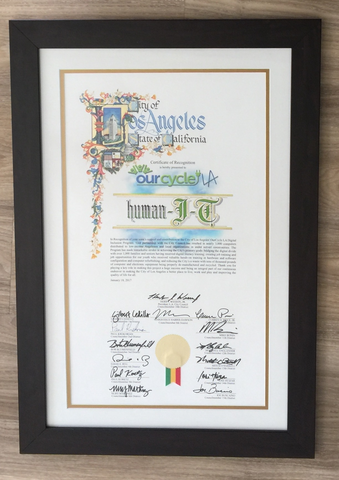 This past week we have have been recognized for our efforts by the city of Los Angeles of distributing used computers which have helped divert e-waste away from landfills. We are honored to receive this award and will continue to work closely with our partners and friends to close the digital divide. Check out the video below and hear from our Co-founder and President Gabe Middleton.